There are 7 blog entries for July 2015. Wednesday, July 29th, 2015 at 9:43am. This beautiful 202 acre ranch is the perfect weekend retreat with sunset views that rival any tract of land in Dimebox, Tx. Overlooking one of the three ponds on the property, is the 4 bedroom, 2 bath home with separate garage and barn. Located only a 45 min straight shot to Kyle Field and Texas A&M University Hwy 21, and short distance to Lake Somerville, this property is a serene, rural escape with the convenience of easy access to surrounding towns. 50± acres of open pasture land offers great potential for recreational and agriculture use, and as a horse property. All fence lines have been manicured and cleared, and an upgraded stone gate at the entrance sets the tone for this beautiful, one-of-a-kind tract of land. Monday, July 20th, 2015 at 2:42pm. Beautifully designed new construction home from Matthew Brynn, LLC. The floor plan encompasses four spacious bedrooms with plenty of room for study, sleep and storage, four luxurious bathrooms, and a sleek and stylish kitchen that flows through to the dining room. Exterior features include an outdoor kitchen and sprinkler system. This home screams 'designer' and will reflect the personality and taste of those accustomed to the best in quality design, finishes, and lifestyle. Monday, July 13th, 2015 at 12:29pm. Beautifully designed new construction home from Matthew Brynn Builders. This 4 bedroom 3 bathroom home boasts an open floor plan and includes a study and huge upstairs game room. The kitchen opens to the family room and is every chef's dream including features like a walk in pantry, butlers pantry, and a 4-burner gas stove. Outdoor features include a full cabana-covered kitchen detached from the home. This is the perfect home for family life and entertaining and is nestled in the cul-de-sac. Monday, July 13th, 2015 at 11:40am. Wonderfully maintained three bedroom two bathroom home located in Memorial Forest. Walk into the large vaulted ceiling living room filled with natural light that flows in to a recently updated kitchen with granite counter tops and tile backsplash. The bedrooms are spacious, have been gently lived in, and offer large closet space. Won't last long! Friday, July 10th, 2015 at 11:28am. This beautiful 3 bedroom 1.5 bathroom home sits on 1.12 acres on a quiet road. With a newly updated kitchen including tile backsplash, this home is a sight to see. A large covered porch across the front of the house is perfect for entertaining or relaxing with family, not to mention the open spacious yard. A newly installed AC unit also makes this home even more desirable for anyone looking for a nice home with land. Dont miss out— this home wont last long in this market! Thursday, July 9th, 2015 at 9:58am. Impeccable one-story home located in the much desired Westfield Village subdivision. This 4 bed 2 full bath has newly added carpet and tile throughout the living and formal dining room, and walk ways. It features custom cherry cabinetry throughout kitchen and custom added cabinetry in laundry room. The kitchen also features newly added granite counters and backsplash, and an eating bar. Other amazing finishes include french doors in all bedrooms, crown molding throughout, arch ways, vaulted ceilings, and much more. A newly added outdoor entertainment includes a new patio with beautiful cedar columns and a new roof. This home will go quick! Monday, July 6th, 2015 at 2:38pm. 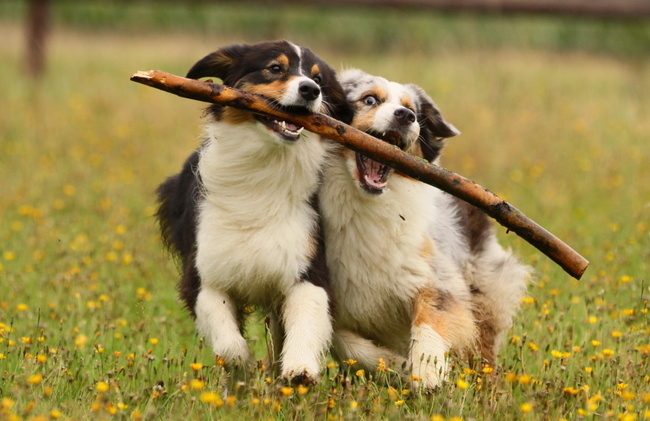 Have you ever taken Fido to the park and wished that he too could frolic freely with his pals? Well, at these parks he can! University Dog Park - This park has very high ratings and reviews. You can relax on a park bench while your pet plays in one of the fenced areas for either large or small dogs. There is a pond for your pet to enjoy as well. Steeplechase Dog Park - This park is located near woods and has pleanty room for fido to run and play. There is also a children's playgound conveniently located near by.